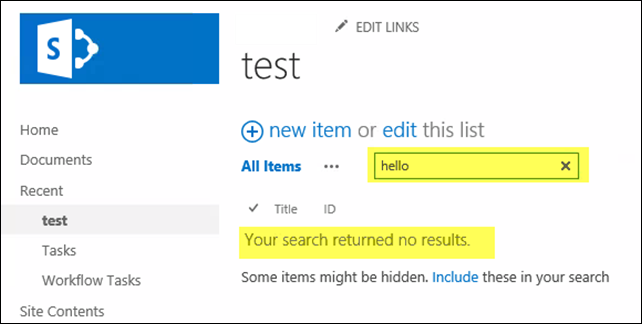 Recently I resolved an on-premise search issue where typing an ID number into the list view “Find an item” bar gave zero results. The list definitely had matching data and search full crawl was completed. 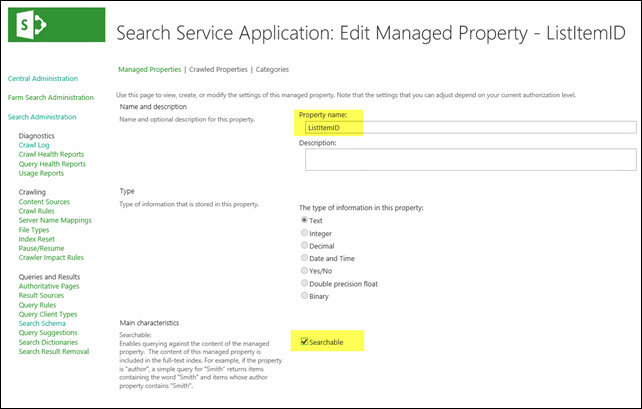 The fix was to update “ListitemID” to be searchable on the Search Service Application (SSA), click “Re-Index” button under List Settings, and wait for the next incremental crawl. Cheers! 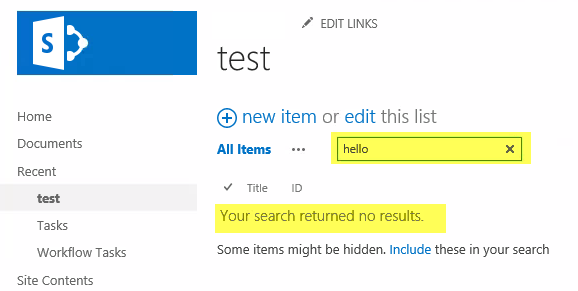 There are many common causes for Search Host Controller stuck on starting (won’t start). I have a new cause to add to the community body of knowledge. 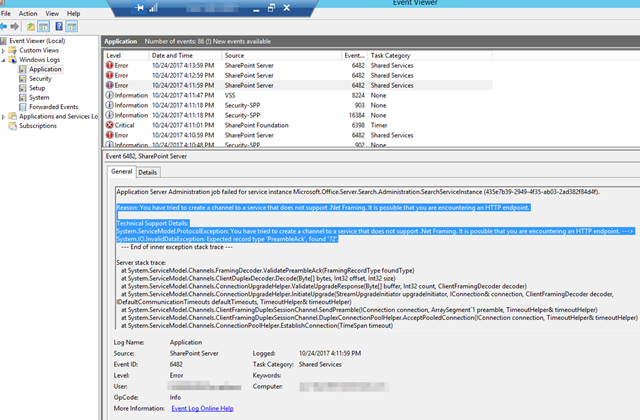 TCP port 808 being used by another process can cause SharePoint 2016 Search Host Controller Windows Service to fail to start. Strange cause, I know. 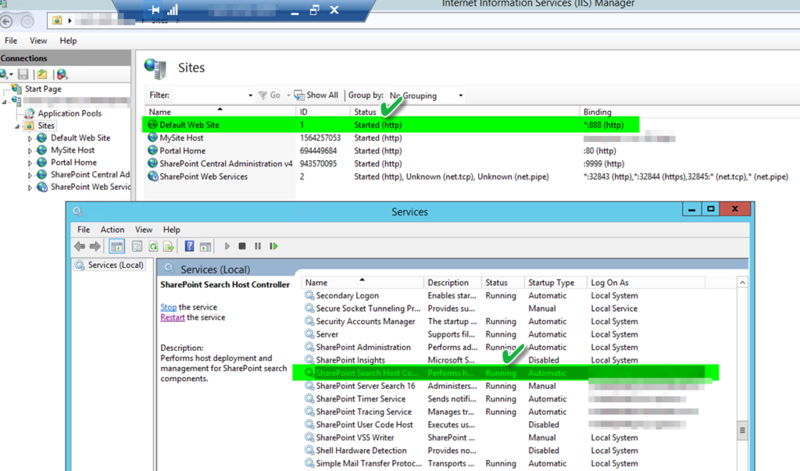 Maybe this post helps another SP admin avoid hours of endless troubleshooting. Search Application Topology > Unable to retrieve topology component health states. This may be because the admin component is not up and running. Windows Services > Error 1067: The process terminated unexpectedly. 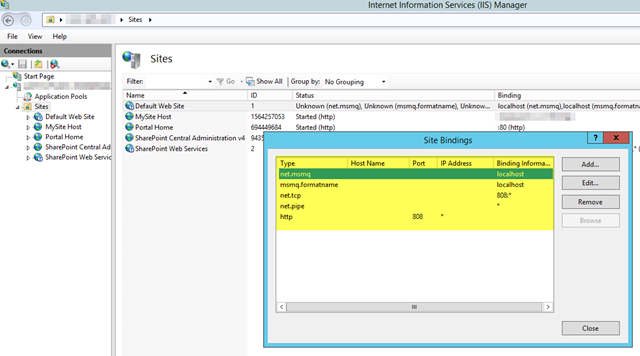 EventLog > You have tried to create a channel to a service that does not support .Net Framing. It is possible that you are encountering an HTTP endpoint. The TransportManager failed to listen on the supplied URI using the NetTcpPortSharing service: the service failed to listen. Search Host Controller requires this port and cannot start. Modify IIS Website to listen on a different port number. 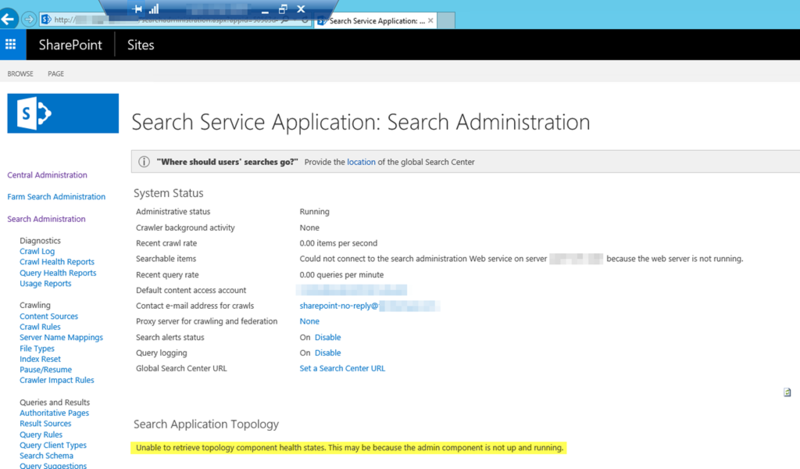 Search Host Controller service will now start. Application Server Administration job failed for service instance Microsoft.Office.Server.Search.Administration.SearchServiceInstance (435e7b39-2949-4f35-ab03-2ad382f84d4f). 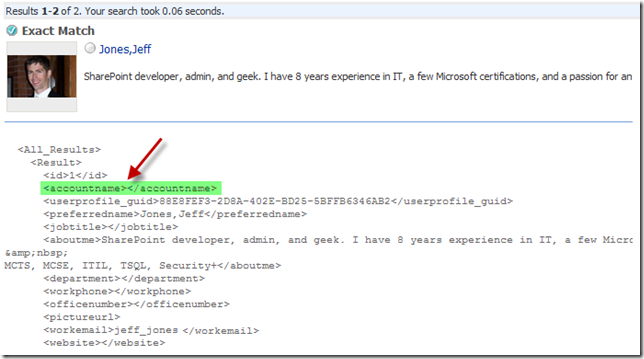 Reason: You have tried to create a channel to a service that does not support .Net Framing. It is possible that you are encountering an HTTP endpoint. System.ServiceModel.ProtocolException: You have tried to create a channel to a service that does not support .Net Framing. It is possible that you are encountering an HTTP endpoint. —> System.IO.InvalidDataException: Expected record type ‘PreambleAck’, found ’72’. If you ever see the below People Search error go double check your indexed User Profile Properties. 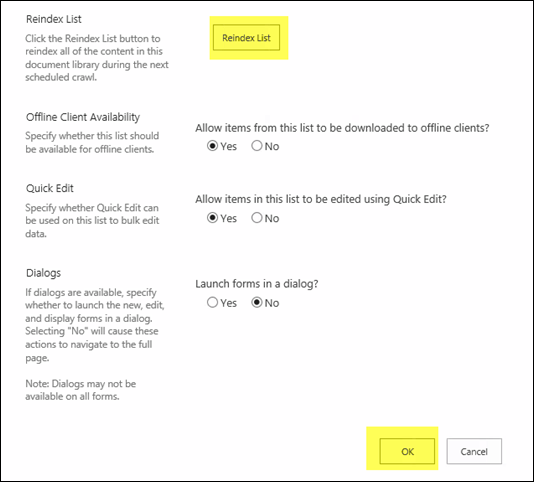 I saw this recently and the root cause was a missing “Indexed” checkbox. 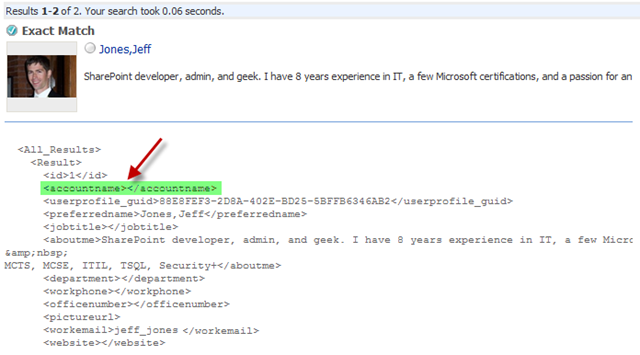 Enabling the Indexed checkbox for Account Name and crawling again fixed the issue. Thanks to Puneet for the tip on this one.